Madeira is a Portuguese archipelago that lies between 32°22.3'N 16°16.5'W and 33°7.8'N 17°16.65'W, just under 400 kilometres (250 miles) north of Tenerife, Canary Islands, in the north Atlantic Ocean and an outermost region of the European Union. The archipelago comprises the major part of one of the two Autonomous regions of Portugal (the other being the Azores located to the northwest), that includes the islands of Madeira, Porto Santo, and the Desertas, administered together with the separate archipelago of the Savage Islands. Today, it is a popular year-round resort, being visited every year by about one million tourists, noted for its Madeira wine, flowers, landscapes and embroidery artisans, as well as for its annual New Year celebrations that feature the largest fireworks show in the world, as officially recognised by Guinness World Records in 2006. 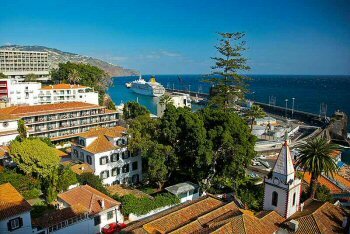 The main harbour in Funchal is the leading Portuguese port in cruise liner dockings, being an important stopover for commercial and trans-Atlantic passenger cruises between Europe, the Caribbean and North Africa. There is a romantic tale of two lovers, Robert Machim and Anna d'Arfet, during the reign of King Edward III of England, who, fleeing from England to France in 1346, were driven off their course by a violent storm. Their ship crashed along the coast of an island, that may have been Madeira; later, this story would be used in the naming of Machico, whose name was transliterated from the name of the boy in the tale, in memory of the young lovers. When planning your holidays in Portugal include your Madeira Car Hire online reservation in your early holiday plans. Making your Madeira Car Hire reservation ahead you guarantee car hire availability and lower prices and when you arrive your preferred rental car, booked in advance, will be waiting for you at Madeira airport.